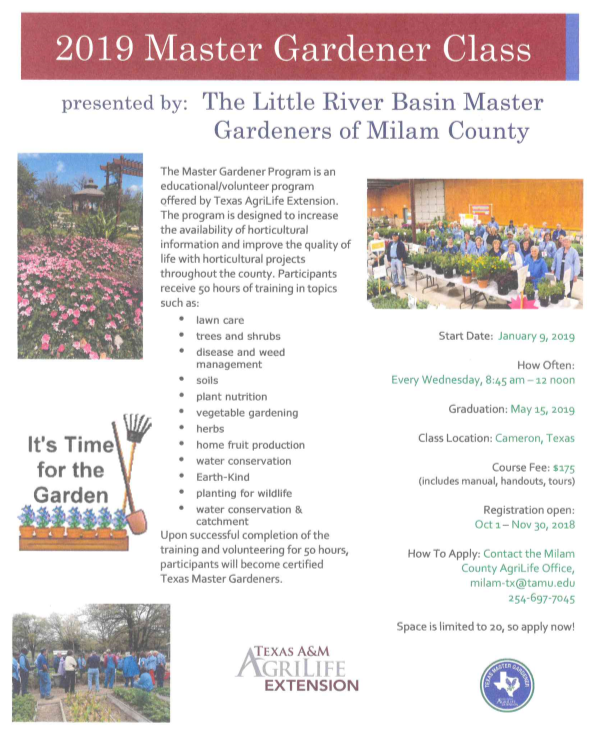 The Little River Basin Master Gardeners of Milam County will be hosting their 2019 Class beginning January 9th and concluding with graduation on May 15th! 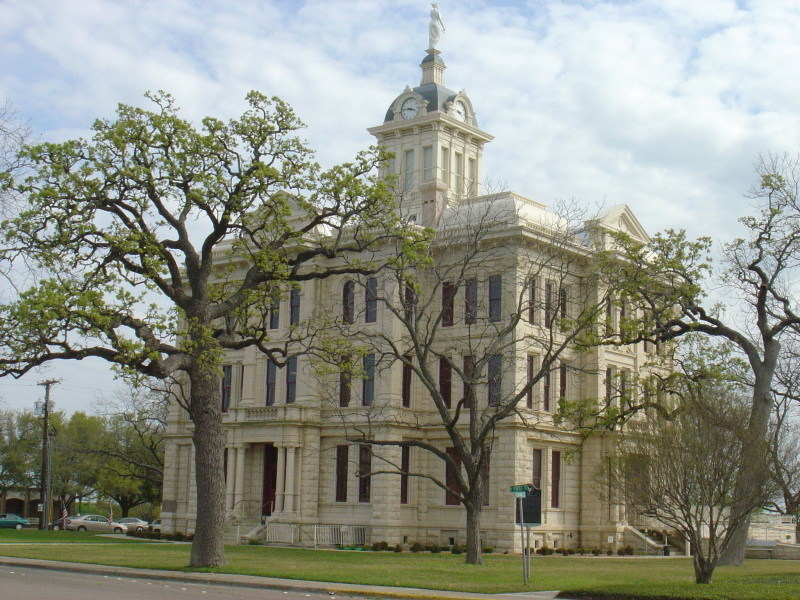 Classes will be every Wednesday 8:45am-12pm in Cameron. The course fee is $175 and includes a manual, all handouts, and tours! Registration will be open from Oct. 1st - Nov. 30th, 2018. Space is limited to 20, so apply now! Visit their Website or follow them on Facebook!